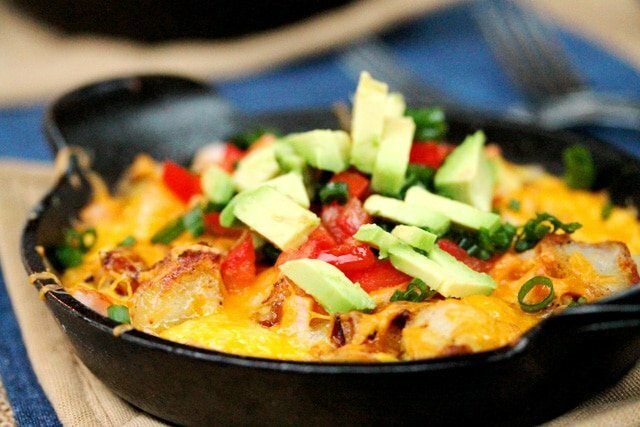 These potato recipes will have people coming back for seconds or even thirds! 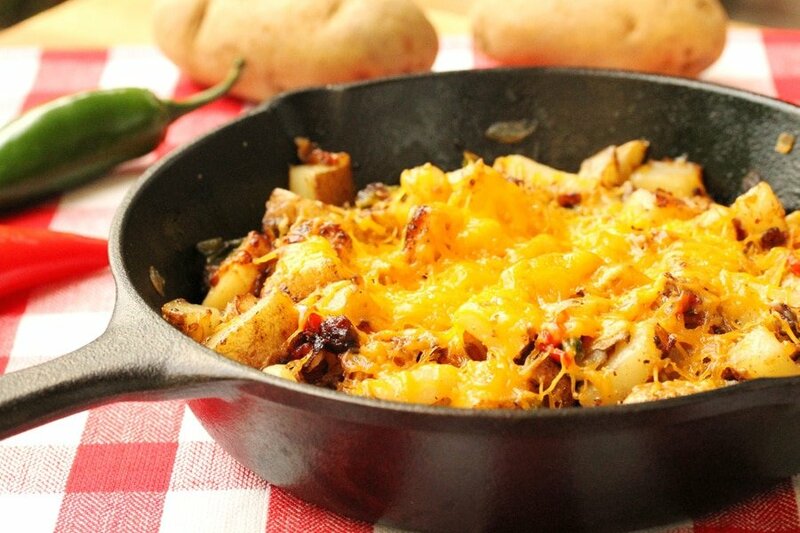 When potatoes are on a dinner plate with meat and veggies which of the three do you try first? 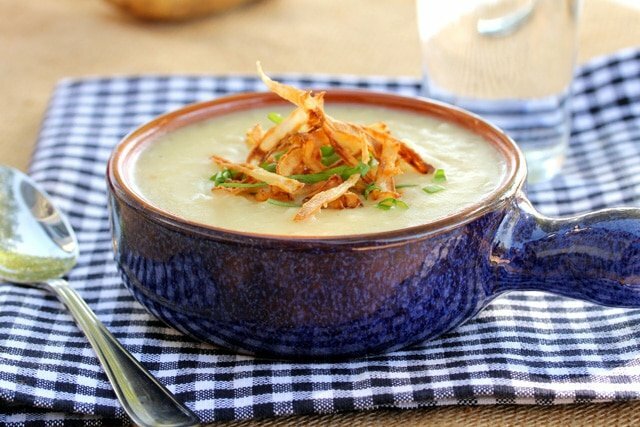 Have you ever started off eating the potatoes first and finished them before taking a bite of anything else on the plate? 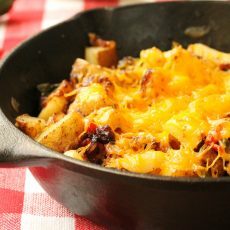 Or, even better, have you ever made a potato dish like French fries and munched on them after taking them out of the oven or the pan; so much that you hardly had anything left to serve for dinner? My answers are yes, yes, and yes. 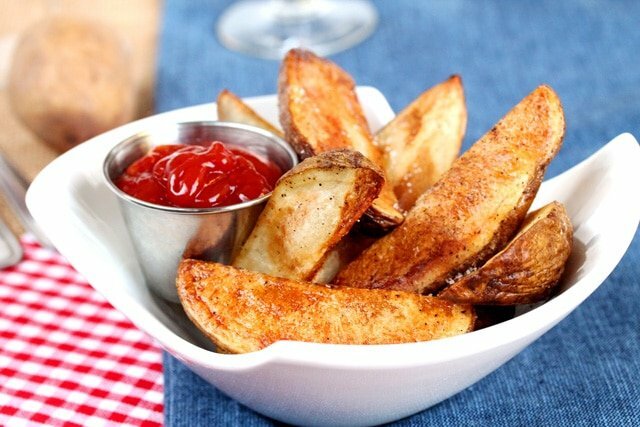 Potatoes are a great refrigerator pantry item to have on hand. If kept in one of the veggie drawers in the fridge they tend to last awhile. Sometimes I have to put a bag of potatoes in the cupboard temporarily because my fridge is too full, especially around the holidays. But if they’re in the cupboard for too long they start growing those little roots on them. I remember when I was a kid seeing that my grandmother store both onions and potatoes in the pantry. It was the one thing that I could see because she kept them on the lower shelf and they were at my eye level. I remember this so clearly because I would be looking for goodies in the cupboard and all I could see were the potatoes. What I really wanted to see (and reach) were the cookies. So do you like to peel potatoes using a potato peeler or a paring knife? One of the things literally etched in my memory is seeing my grandmother’s hands as she would peel potatoes using a paring knife. So that’s how I like to peel potatoes because it reminds me of her. There’s probably a little more waste when using a paring knife but the good news is that it seems to take less time to get the potato peeled. It’s almost that time of year when potatoes go on sale for really good prices. My favorite price for a 10 pound bag of potatoes is 99 cents. If there isn’t a limit I’ll go a little potato-crazy and buy more than 1 bag. Then I get home and have to figure out where in the world I’m going to store them. When buying a bag of potatoes it’s best if the bag is see-through so you can see if there’s moisture in the bag or any bad potatoes. I often find bags of potatoes that have moisture in them so I stay away from those ones. Sometimes picking a bag from towards the bottom of the display is a good option but that’s only if the store employee’s rotate the potatoes as they stock them. So let’s check out some recipe ideas for potatoes. Cheesy Red Potato Mash – A quick and easy side dish that tastes like the inside of a baked potato. And looks pretty too. Baked Herb and Parmesan Potato Slices – I LOVE THESE. 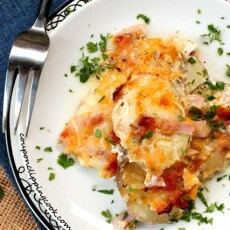 Now this is one of the potato dishes where I eat them off of the baking pan then hardly have enough left to serve. They’re amazingly easy to make and taste wonderful. 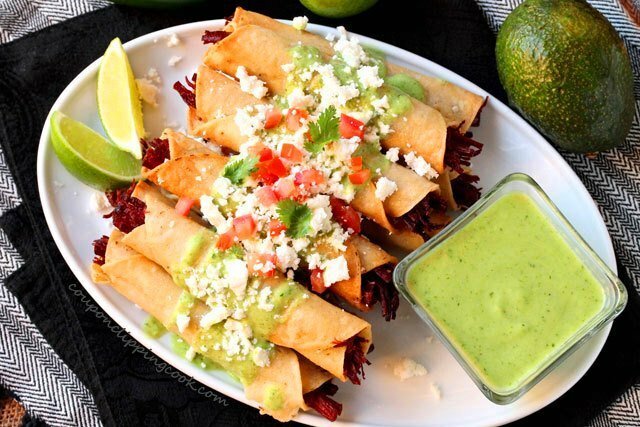 They’re also one of the most pinned and popular recipes on CCC. 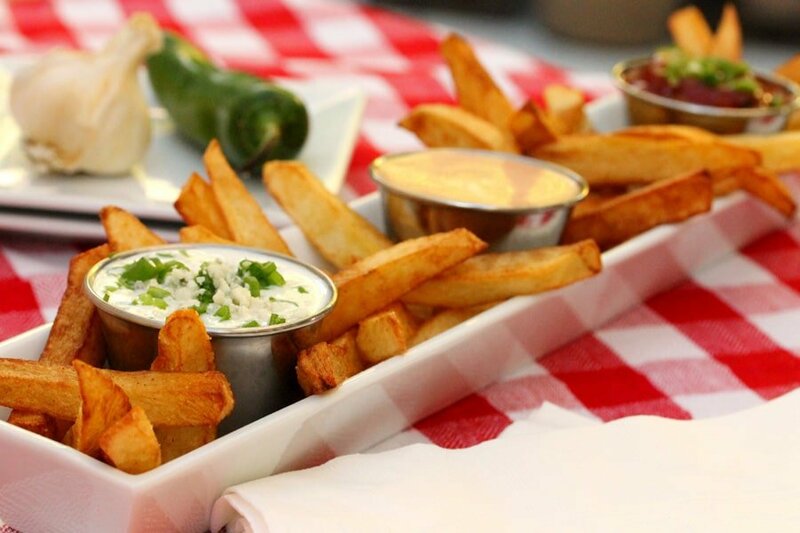 French Fries with Dipping Sauces – French fries are the best. And the dipping sauces are an added bonus. 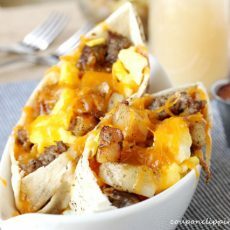 Breakfast Burrito Pitas – A seriously good breakfast. Comfort food in a pita pocket. 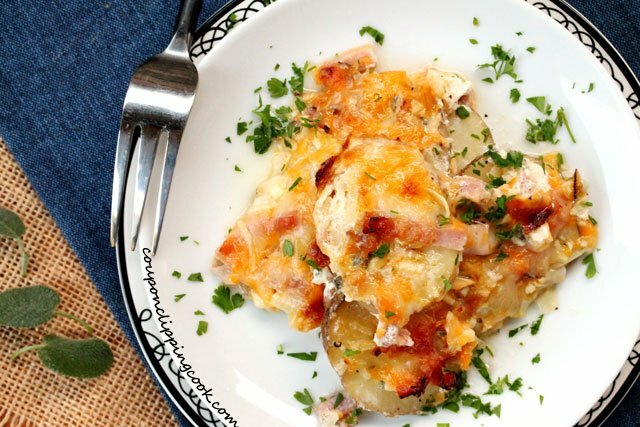 Scalloped Potatoes with Sage and Ham – Great for the holidays and leftovers warm up nicely. 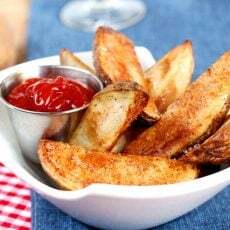 Baked Steak Fries with Smokey Ketchup – Potato goodness through and through. 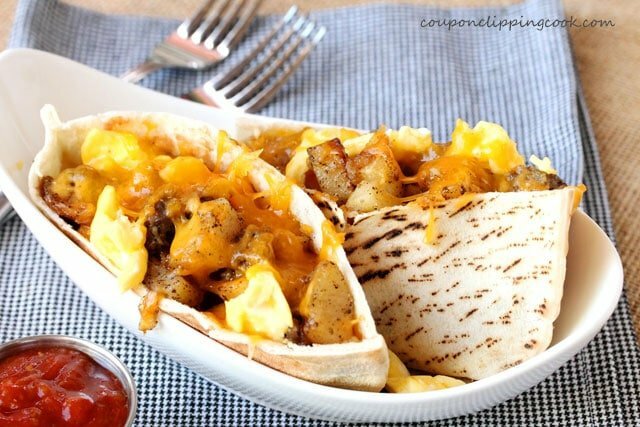 Potato, Egg and Cheese Scramble – Fun to serve this in personal size iron skillets. Roasted Garlic and Rosemary Mashed Potatoes – Made with the skin on which gives the potatoes a wonderful texture. 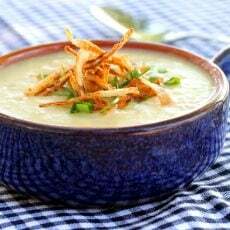 Roasted Garlic Potato Soup – Heavenly roasted garlic and potato soup topped with a bit of fried onions. 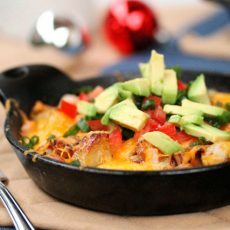 Cheesy Jalapeno and Bacon Skillet Potatoes – Forget the plate and just each these fried taters right out of the pan. Brown Butter and Bacon Cheese Potato Cups – Brown butter, bacon, cheese and potatoes….there are no words for how amazing these are. 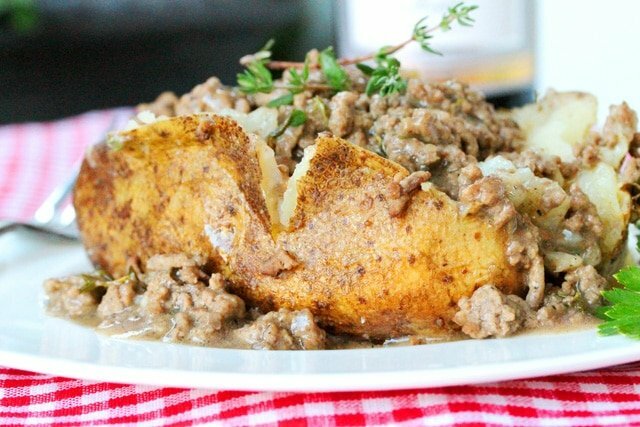 Salt Crusted Baked Potato with Thyme Ground Beef and Gravy – Salt crusted baked potatoes are sooo good and makes the house smell amazing while they’re cooking in the oven. There you have it. Potatoes are a good thing so pass the potatoes please. I love potatoes! Thanks for posting so many different and exciting variations for us to try! Hi Martin, and thank you so much for your comment! Have a nice weekend.